Interview with WORLDZ Founder Roman Tsunder. 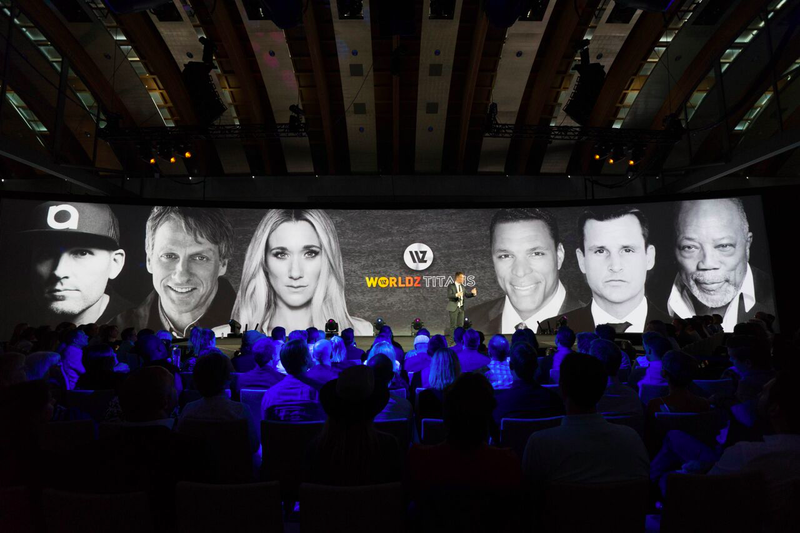 Roman is Co-Founder and CEO of WORLDZ, an invite-only cultural marketing summit and community that brings together the world’s most influential personalities and rising stars. Members of the exclusive group range from Quincy Jones to Shaun White to industries including global brands such as Hulu, Virgin, and Vans. I recently sat down with Roman in Los Angeles to chat about the next generation, the global economy, and the projects he is currently pioneering. What inspired you to create WORLDZ? We know that the future of our global economy, culture and population is in the hands of the next generation. Yet there was no place for the most inspiring minds and brands to get together. Since no one else was doing it, we created WORLDZ: a community and summit for the rising stars who will be influencing culture for the next 10–20 years to collaborate with the Superstars and innovators of today — our WORLDZ Titans & Masters — in order to build a better future, together. How has creating WORLDZ changed your own life? Some of our members, who we call WORLDZ Titans and Masters, are the best in the world in their crafts. People like Hugh Evans from Global Citizen Festival, and Kweku Mandela, who helped us create the Nelson Mandela Changemaker awards honoring leaders who are carrying on President Mandela’s legacy. That has been huge. What are some of the results that have come out of creating the WORLDZ event? What has surprised you the most about the interactions between people at WORLDZ? The most surprising thing was how easily people checked their egos at the door! I saw so many individuals simply be open to connections at very intimate levels with like-minded peers. The community embraced the opportunity to inspire each other and forge a true creative awakening. How is WORLDZ different from other events that include powerful and influential individuals? In our inaugural year, we have gathered the most influential and inspiring minds ever assembled. Some of our big accomplishments — we created an IMAX experience on over a 100-foot-wide, 4k video wall. Our WOW team wrangled the Goodyear Blimp to make a special appearance, followed that evening by the Red Bull AirForce skydiving in over the 405 freeway. We assembled and gave away thousands of free meals to those in need, held an epic EDM dance party with DJ Marshmello, and toasted to Rio with an explosive samba and capoeira performance. Are there any new ideas that you are thinking of adding into the next WORLDZ? Year 2 — or what we call Chapter 2, will blow Year 1 away. We are viewing this as a 10-year journey — every summit and year will build on the successes of the previous one. Why do you think WORLDZ has been so successful at attracting powerful individuals to the event? We don’t look at WORLDZ as an event; we look at it as a 24/7, year-round community that encourages people to continually exchange ideas, share inspiration, and challenge themselves to do and be better. People at all levels want to be a part of it because of the strong and lasting relationships — business and personal — that develop, ideas that are triggered by shared experiences, and the overriding commitment to building their own success and a better world that informs everything we do. Can you describe the process you go through when selecting who to invite to WORLDZ? In that spirit, we rely on our community to help us network with and engage the right people to attend. It is really important to us that everyone has the desire to participate in a holistic experience of what cultural marketing is about and what the future holds. What are some things that you have personally learned from experiencing WORLDZ? It is easy to take someone or something for granted if you don’t know the story behind their success. What did they overcome to get where they are? What did they dream of when they were young? Who have they helped along the way? Why do they go out every day to make a difference? There are so many incredible stories out there, and it’s humbling to be listening in on them. How do you get so many different people to come together with an open mind and create new ideas together? The first thing we do when they arrive is help them shed any insecurities or precepts and open themselves up creatively, and that paves the way for them to enjoy the journey. Once they walk through our doors, the playing field is even and titles and stature don’t matter. What type of master courses are offered at WORLDZ? Our Master Courses are divided into five categories: storytelling; technology; ad tech; social impact; life and business hacks and leadership. Each is led by an expert — or Master — in the field. Who are some of your favorite speakers that have contributed to WORLDZ and why? These are just a few and each speaker comes from a different background, with sometimes radically different metrics for success — but each of them has a common goal, nothing less than to improve the world. It is our honor to share their profound stories with the WORLD.